Many things have changed in the past year. I could pick a number of subjects that would be fitting under the above title, but what has changed the most is me...internally. I realized some time ago that I have been oppressed by "religion" for years. I am not blaming the church(es) here or even the area being in the Bible Belt, which is heavily controlled by Southern Baptists, although these factors were encouraging influences--in their discouraging ways. I blame myself. When I began to to seriously prepare for homeschooling, I read many books on the subject and I was drawn to the Classical approach to homeschooling. This method was championed in several writings, most authored by Christians, very traditional, even legalistic. They made me feel that I had been an inadequate Christian. One book even stated that while using the Classical model of homeschooling they advocated, they gave strong warnings about reading anything of Greek or Latin polytheism that saturated Classical writings often modeled for grammar analysis and imitation. I wavered back and forth on this in my mind because I could not imagine understanding any other culture excluding their religious beliefs, but I avoided such writings while my daughter was young just because that was what I believed was the more Christian route. Although I shunned skirt-only churches, that is what I wore to every Sunday morning church service and how I dressed my daughter as well. I favored long denim dresses and skirts, loose fitting long dresses, and comfortable flat sandals or boots. The tops I wore the most were white with an old fashion flare, puffed sleeves and slight tapering at the waist. Always there was a plain white or off-white cardigan accompanying me as I would get chilled in air conditioning or in the winter. A true Southern tradition, the Princess also wore hats at every service, but I only did now and then. Why did I not just go to a skirt-only church? Well, it is one thing to choose to wear a dress and quite another for it to be expected of me. I expected enough from myself: I was being Christian mother homeschooling her daughter and raising her "right." It was not that I feel these things were wrong to do. I am sure most all of it was the right thing to do at that time. It was a season in my life and I enjoyed it as it was...but something about it lingered with an oppressing of my spirit, perhaps even souring my heart. About three years ago I felt tugs to break away from the "me" I had created. 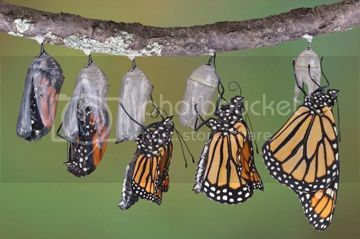 It probably was stirring in my heart even before that, but when I was asked to be the praise leader at our old church, that is when I began emerging from my self-made cocoon. The opposition against the songs I was being given by the Lord from others in the church was heartbreaking, but the confirmations and encouragements from the Lord were unmistakeable. It did not last but five months before we felt called to leave and I was so ready for something else: A living worship experience where my daughter could witness the wonders of God's love and grace through miracles and healings taking place right in our midst. I wanted her to know God is not just Someone far away that we pray at, but that He was close, so very close, as the softest whisper, and His presence is not something hidden from us. Going to the church that we recently left is where I began to deal with my heart and it was healed. Another season, its purpose served. When we left there, I began to deal with my mind, attitude actually...those things you say to yourself in your head. I was constantly feeling overwhelmed and I heard way too much "I cannot do's" and quite a few (when I was being honest) "I don't want to do's" with just a touch of depression in the undercurrent. I would be alarmed if my daughter talk that way to herself! I finally decided that if I did not have anything good and encouraging to say to myself...I should just shut up. The silence was filled with God's words. His good. His encouragement. I began doing things that I had told myself that I cannot do or that I did not want to do, without resistance, sabotage, or dread. What seemed to be too much work before to me or would take too much time, just started to seem easy and fit into my day without stress. What did not fit or got bumped out would be there tomorrow or even the next day. I did not become frozen with feelings of being overwhelmed. There was so much freedom in that. Every day has its possibilities. It was one thing to know that in my head, quite another to feel that in my heart. What do I wear these days? Well, I think am done with my version of dowdy. I now have a leopard print soft fuzzy jacket and a lovely sage colored purse and various colorful versions of my love bracelets! I shop at Goodwill regularly looking for fun clothes and when I find some that fit and are not too scratchy or worn, I buy them. I have more color in my closet these days, including black which I avoided for years, although I am still partial to my jeans. I think God just might be smiling at His butterfly.